Clean room. Very good breakfast. Old fashion hotel but very clean and peacefully. I liked the garden, I liked the rooms but the most I liked the stuff. Very nice and really kind, always smiling and polite making me feel like home. Breakfast was tasty and plenty of choices. Oh and very good internet connection which was really important to me. 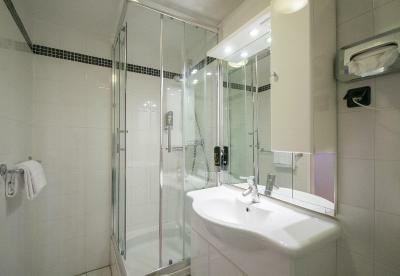 Very Niven place to stay as for short term as for long term stay:) great breakfast, comfy rooms and clean bathrooms. I've stayed twice in the hotel within 4 days. See my earlier review below. Gartenhotel Gabriel City This rating is a reflection of how the property compares to the industry standard when it comes to price, facilities and services available. It's based on a self-evaluation by the property. Use this rating to help choose your stay! 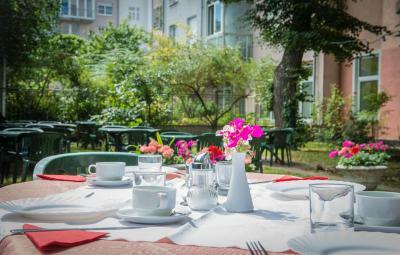 One of our top picks in Vienna.A 15-minute bus or underground ride from the Ringstraße Boulevard and Saint Stephen's Cathedral, Gartenhotel Gabriel City offers free WiFi access and a quiet, lush garden. The breakfast room and some of the guest rooms are decorated with imitations of Gustav Klimt murals. 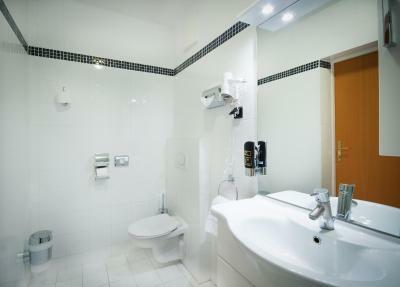 All rooms come with a flat-screen satellite TV, a work desk, a fan, and a bathroom with shower. The breakfast buffet is available from 06:30. Guests receive a free bottle of wine as a welcome gift. The Viehmarktgasse stop of bus line 74A is located opposite the Gabriel City Gartenhotel. From there you can reach the Ringstraße and the City Airport Train Terminal within 15 minutes. The Schlachthausgasse station of the U3 underground line, with a direct connection to St. Stephen's Cathedral, can be reached on foot in 7 minutes. 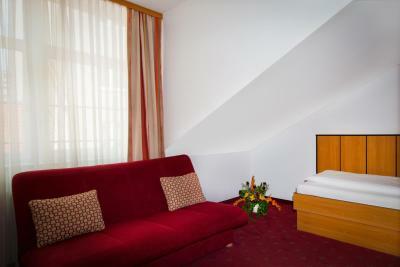 When would you like to stay at Gartenhotel Gabriel City? This room comes with a flat-screen satellite TV, a work desk, a fan, and a bathroom with shower. This room ranges from 18 to 85 ft² in size and comes with a flat-screen satellite TV, a work desk, a fan, and a bathroom with shower. This spacious room features a comfortable box-spring double bed or twin beds, soundproofed windows and outside blinds, a flat-screen satellite TV, a work desk, a fan, and a bathroom with shower. 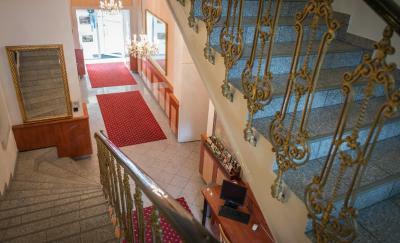 House Rules Gartenhotel Gabriel City takes special requests – add in the next step! Gartenhotel Gabriel City accepts these cards and reserves the right to temporarily hold an amount prior to arrival. Please note that for bookings of 5 or more rooms, special restrictions apply. Please contact the hotel by using the Special Requests box when booking, or directly with the contact details provided in your confirmation. We asked for an extra baby bed but they only said that we have to pay for it once we got to the hotel. It was a bit of a surprise because they charged us 10 € for only one night. The double bed were only 2 single beds side by side with a hole in the middle and the mattress was too soft in our opinion. 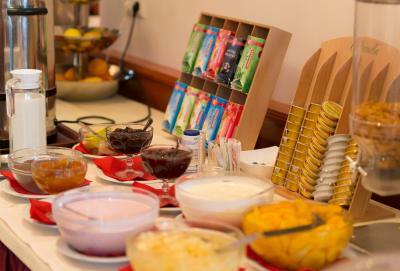 The breakfast does not have many choices of bread or different fruits. The staff were super friendly and as soon as we arrived, they gave us a bottle of wine as a welcome gift. We asked for suggestion of places to visit, they gave us a map and explained everything. All nice and cozy, with good breakfast. Close to the city center. The location is good, you can reach metro and tram easily. We got a bottle of wine when we arrived! 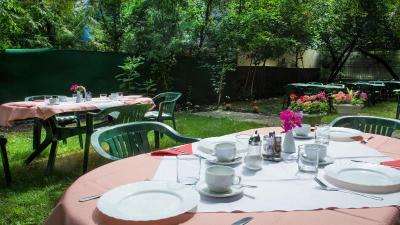 Friendly staff, lovely room, great breakfast, traditional house, easy to reach from both airport and Hbf via St. Marx train station; lovely garden, a lot of lovely art prints of the old masters, lift and everything was in good condition and working well. bars and supermarkets nearby, looking forward to staying there again during our next stay in Vienna. The breakfast was very excellent, and we liked the possibility to have it until 11 a.m. 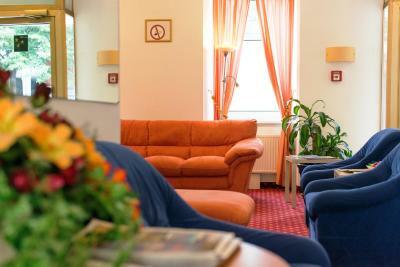 The room has been cleaned every day, the receptionists were very accomodating and friendly. 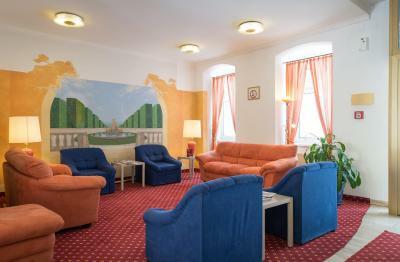 The location is on one of the main street of Vienna and it is well connected with bus and tram and also with the OBB that connects directly to the airport. The bed (mattress) felt a bit hard, but was comfortable overall. 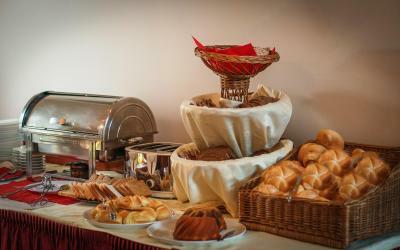 Delicious buffet-breakfast included in the price, you are provided breakfast until 10 a.m. Metro line U3 is 15 min. walk or 2 stops with tram, the city centre is easy to access. Friendly staff. Very nice accomodations. Great breakfast!